Sometimes events will be held at night, like some parties, concerts and so on. At the moment, a special decoration will be very helpful and memerable. 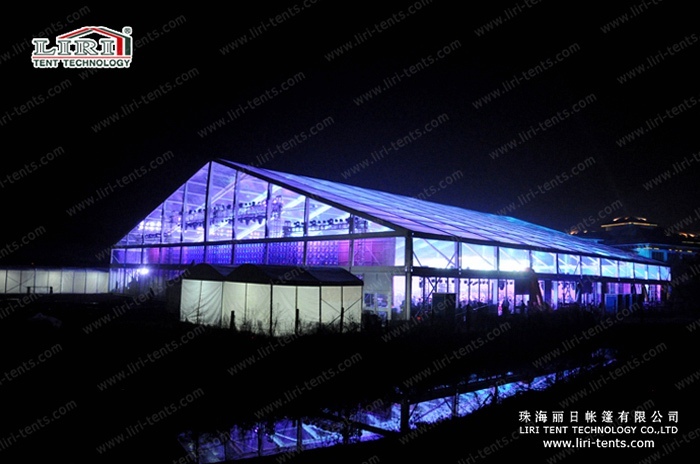 The belo picture is the 50m transparent tent for rental business in China, it is the largest transparent tent in China and it is set up in the extremely cold temperature. For these tents, with the 350x120x5mm main profile, 850g/sqm transparent rooof cover and glass walls, added some special lights effect, it looks very beautiful and attractive. You can see the star, and the moon in the sky, outside secnery, that made your event amazing. 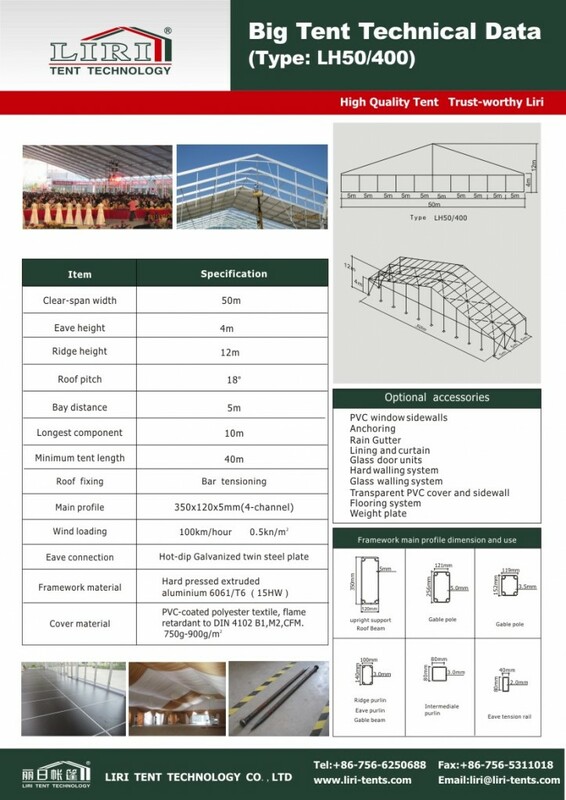 For our clear span tent, it is with modular deisgn, thefore, it enables the tent to increase or decrease its length by 5m bay basis. When you have some smaller events, you can decrease the length. Also it can fix with full series of accessories, like the AC, lighting system, glass walls, doors, flooring and so on.